Please fill in the equation field! A new key partnership of Epsilon Net consolidates its leadership role in the aviation industry. Epsilon Net is the official partner of Fraport Greece, the company responsible for the operation and development of 14 regional airports for the next 40 years, so that they operate with the most modern international aviation standards. 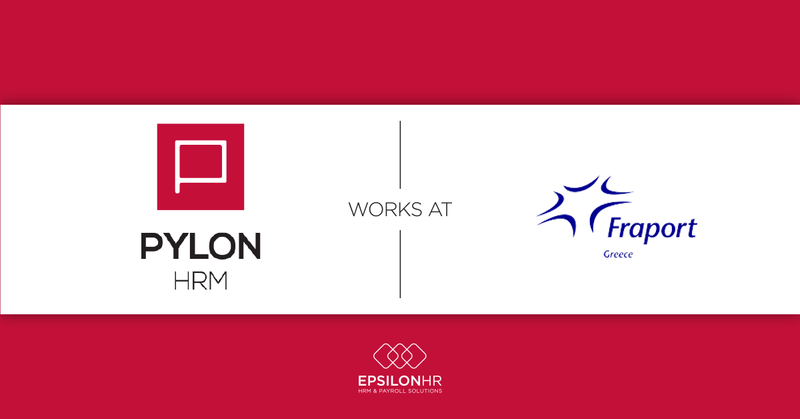 Following a public tender, Epsilon Net has undertaken the project of implementing an information system for both Payroll and HRM processes with the installation of PYLON HRM & SELF SERVICE platform. The main objective of the implementation is to automate management of complex human resources (large number and broad allocation) in combination with other payroll systems for each payment period with full employee history and employment status changes, performance ratings management systems, staff training & time management systems. The ESS-Self Service web platform eliminates all time-consuming processes by providing a continuous, secure and controlled flow of information between managers and more than 600 employees across 14 different geographical locations. Τhe master account and all 16 local administrators can easily track system performance and individual statuses by using automated and customizable status & performance reports, which are also available in graphical format. The main feature of the PYLON HRM & SELF SERVICE platform is the holistic ‘all-in-one’ approach, which aims at the ideal interconnection & harmonious operation of all departments involved in Human Resources Management, combined with the ability to communicate with multiple external systems (banks, insurance funds, etc.). Process automation, operation credibility & the award-winning support department provided by Epsilon Net make PYLON HRM the leading Human Resource Management application. The growing path of Epsilon Net is reflected in the 2017 financial figures, which appears to have increased impressively. Epsilon Net is declared one of the best businesses in Europe at the European Business Awards.